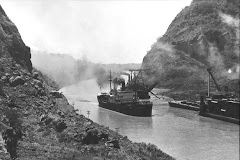 Masterful marketing, which focuses on profit potential and avoids technical issues, has created the perception that – when completed – the Panama Canal Expansion will work well and business will grow robustly. That has resulted in a speculative boom in Panama. However, on its present course, the expansion will lead to a catastrophically different outcome. Today’s project needlessly jeopardizes the canal’s economic future and threatens critical ecosystems. It also creates expectations it will fail to meet. Bidding on lock design and construction has encountered repeated delays, as was predicted. Issues normally resolved when assessing lock proposals – a typical first-step this world-important engineering project omitted – have contributed to those delays, validating concerns voiced at the project’s outset. Independent assessments predict that, unless changed, this one-lane expansion will severely restrict the canal’s growth potential, plus curtail the capacity of its original locks. Furthermore, Gatún Lake’s ecosystem, and marine-life in the coastal waters of both oceans, will be severely affected. 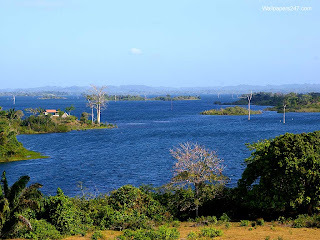 Organizations, like the Gatún Lake Defense Committee (Comité ProDefensa del Lago Gatún), assert that an expanded canal -- delivering even more service -- can be built for the same money without sacrificing one of the world’s most important manmade freshwater reserves. Unnecessarily polluting Panama’s main water resource with vast amounts of saltwater entering through the planned locks would be criminal. Advocated is to expand the canal using a lower-risk, two-lane system with better gravity-operated locks, with which these issues do not even arise. Even locks similar to those of today’s canal -- that actually have a more effective water-saving capability than those planned -- would already triple capacity, instead of only doubling it. The most advanced two-lane locks, given their high efficiency, could more than quadruple cargo capacity. All these locks are feasible for the project. They contain the same proven parts – just arranged more effectively – and operate following tried and tested techniques. The water of today’s canal is sufficient for the expanded canal because the original locks would be operated in their rarely-used most efficient mode in this integrated system. By using better locks, ships would be lifted in two steps instead of three and those locks could have larger chambers. Switching locks can immeasurably improve the expansion, without creating major setbacks and without significantly altering cost. The expansion’s stated objective is to add capacity and increase revenue. Yet, what is being pushed ahead is a very limiting plan of great disservice to the world community and to Panama, who ultimately fund this project and will suffer its consequences. Skipping proper lock selection, then sticking to an arbitrary, ineffective, damaging, and high-risk lock choice suggests that the lure of immediate contracts and money overrides the importance of product quality. This elicits uncomfortable reminders of short-term gain strategies that have played heavily in the world’s present financial collapse and of the lip service paid to sustainable development. A rare opportunity to protect the environment while increasing profit, now and in the future, is at hand. Ignoring it cannot be an option.